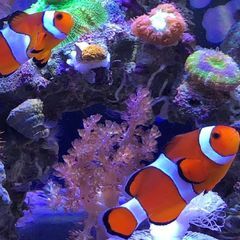 Whether you’re looking to add to an existing reef system or you’re designing one from the ground up, one of the most confusing aspects is choosing between a protein skimmer and a refugium. Both can be both a benefit and a detriment to a reef tank depending on a lot of factors. Provides existing aquarium inhabitants with natural food sources such as phytoplankton and zooplankton. Filters water naturally (dramatically lowering nitrate and phosphate levels) and decreases the frequency of water changes that are needed. Stabilizes water conditions (especially oxygen level and pH). Helps control algae growth in the existing aquarium through nutrient competition. Serves as a temporary acclimation tank for new inhabitants. After development, refugiums provide considerable aesthetic value to the system. Some types of algae (namely a few Caulerpa spp.) may ‘go sexual’, or release spores into the tank. This causes a thick green haze that can irritate corals and fish, and would need to be removed with carbon combined with good mechanical filtration. There are many reasons for macroalgae to go sexual, but keeping it pruned and maintaining a set lighting schedule will help to keep it from happening (the exception is Chaetomorpha, which rarely goes sexual and may be lit on a 24hr photoperiod). Skimmate. Trust me, it’s a good thing! Skimmers increase the dissolve oxygen levels and redox potential in an aquarium. Remove dissolved organics before they get a chance to breakdown and become a food source for nuisance algae. A photo of the resulting product, called skimmate, is shown above. 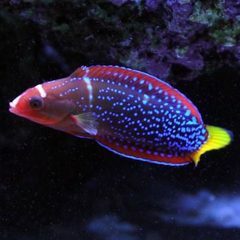 Overall improvement in the health and vigor of the animals in the aquarium since their wastes are being removed from the system sooner via the collection cup. They can remove beneficial bacteria as well as phytoplankton and other desirable organisms from a system. They can remove trace elements that may need to be replenished or supplemented, such as Iodine. Other elements are most likely removed as well and if partial water changes are not practiced on a regular basis your system could become unbalanced chemically, i.e. not have the proper proportion or ratio of trace elements to major elements. As you can see, it’s not a simple matter of one verses the other. Each method works in a different way to achieve the same result: a cleaner, healthier system. In the future I’ll breakdown the best way to size and utilize each for your system, but in the mean time here is a general rule of thumb: if your tank matures into an SPS-dominated system, consider a skimmer and possibly a refugium. If it matures into a softy or LPS-dominated tank, consider a refugium and possibly a skimmer. But always remember that neither is absolutely necessary, they only help to increase your chances of success. Article is put together very well. I would to address the 24 hour illumination comment using Chaetomorphy in a refugium. Actually you can use Chaetomorphy on any light cycle you desire. The 24 hour light cycle was to prevent Caulerpa from going sexual. Excellent at aeration - maybe it's most important function. Waste removal abilities seem to be consistently over-estimated, but is also a function. Using a refugium for nutrient control is popular, but far from a fire-and-forget solution to "excess nutrients" or algae....just look around at tanks that have active refugiums AND pest algae. It's not uncommon.